A vitamin supplement is a dietary aid taken by those who need or desire additional vitamins beyond what is provided in their normal daily diet. Often referred to as a dietary supplement, it may be recommended for people with certain conditions or limited diets. While a vitamin supplement should not be used as a replacement for food, they can offer many benefits. Some vitamin supplements are called multivitamins. 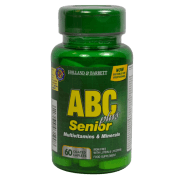 These vitamins provide a number of different vitamins and other minerals in one dosage. Often, the daily dose will give a recommended value of many of the major vitamins and some other lesser known vitamins. Lots of people take supplements nowadays. For many adults -- 100 of millions of us -- these pills have become nutritional staples. They're also the backbone of a thriving industry. In many ways, supplements are to humans what fertilizer is to plants. Give a plant adequate amounts of sunlight and water, and it will survive. Add some nutrient-rich fertilizer (organic, of course), and the plant will thrive. For us humans, the same principle applies. A healthful, balanced diet supplies the body with sufficient nutrients to carry out routine tasks. Supplements such as vitamins, minerals, essential fatty acids, phytochemicals, and more enrich the body's internal environment to fortify cellular protection, repair, and regeneration and support the Renewal process. Of course, supplements, at least as we know them, haven't been around all that long. How did our ancestors survive without them? To be painfully blunt, they didn't. You see, Mother Nature has never cared about optimum health. Nor has she concerned herself with longevity. Her main objective is survival and propagation of the species. So she programmed us humans to survive on even the crummiest diet, nutrition-wise, into our twenties, when we're old enough to reproduce. Beyond that, we're on our own. This genetic twist is a throwback to primitive times, when supermarkets and refrigerators didn't exist and food was not always plentiful. Those who could stay alive on very slim amounts had a tremendous survival advantage. Over thousands of years, one generation has passed its "survival genes" on to the next. So thanks to our ancestors, we are equipped to subsist on minuscule amounts of the essential nutrients, just in case a famine comes along. But as I said before, this insurance policy remains effective only into our twenties -- just long enough for us to reproduce. It includes no provision for aging. By the time we reach our twenties, we have established lifelong eating habits. And because our survival genes have protected us from the adverse effects of our dietary transgressions, we have no reason to believe that what we're eating (or not eating) is doing us any harm. So we continue feeding ourselves nutritionally vacant foods, unaware that they're quietly eroding our health. Often we don't see the effects for several decades. The quality of food we eat obviously influences our nutritional status. Food grown on nutrient poor soil can be deficient in certain nutrients. Has the soil been overworked? Have chemicals been added to it? Have chemicals such as pesticides, insecticides and herbicides been added? Have drugs and anti-biotics been given to livestock? Do certain processes that foods undergo during manufacture and storage influence their nutrient content? The answers to these questions is often "yes". (ref: Nutritional Medicine Drs Davies and Stewart). So, when I hear all you need for optimum health is to eat a healthy, balanced diet, you might appreciate my skepticism.